← OKEON Churamori project’s official website launched! On a small farm near the botanical garden in Okinawa City, a rooster sang its first song of 2017 – the “year of the rooster”. His was the first song of the dawn chorus, a daily event that arouses every type of bird sound on the island of Okinawa – from the sweet melody of the Ryukyu Robin (Akahige) to the harsh screeching of the Brown-eared Bulbul (Hiyodori). This biological symphony has the sun as its conductor, as the conditions just before dawn are especially favorable for singing: the air is cool, the wind is quiet, and the light is low enough to afford a modicum of safety. For male birds, the dawn chorus provides a time for each individual to broadcast “I am still here”, and to assess which of its neighbors can say the same. For female birds, this can be a convenient time to determine which is the superior songster, or to share in the chorus. 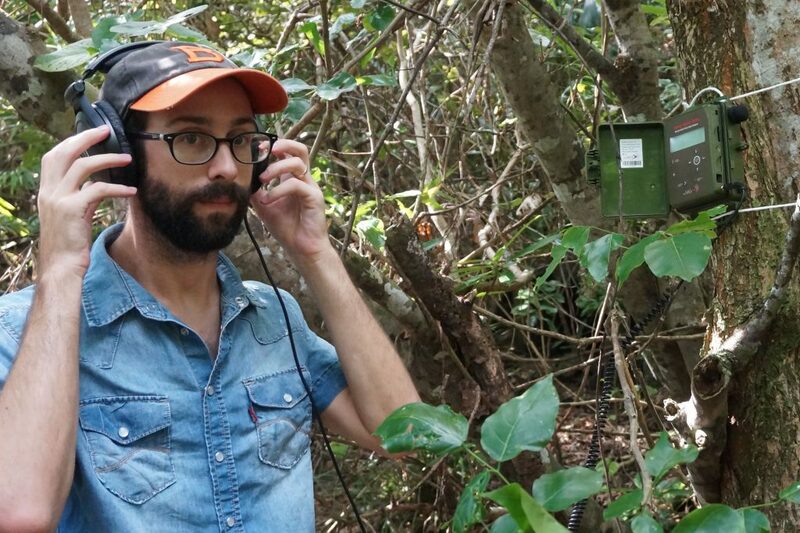 Arilab’s post-doc Nick uses the rooster and its chorus as a way to monitor Okinawa’s ecosystems. The number of different bird species that join the rooster in its song each morning is an indicator of the ecosystem’s health. A varied and noisy morning suggests a healthy environment, whereas a silent morning suggests that some species have gone missing. The rooster’s song was recorded using a network of automated recorders placed in forests and fields across Okinawa. – Content written by the OIST media section.